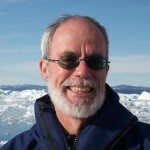 Tom Griffiths is the W K Hancock Professor of History at the Australian National University and has written a history of Antarctica entitled Slicing the Silence: Voyaging to Antarctica. In January this year he joined the centennial voyage to Mawson&apos;s huts in Antarctica. Tom&apos;s books and essays have won prizes in literature, history, science, politics and journalism, most recently the Prime Minister&apos;s Prize for Australian History in 2008 and the 2009 Alfred Deakin Prize for an Essay Advancing Public Debate.